Internet Marketing Tactics, Tips and Reviews by Henry Zeng » Forget Email and Go Mobile! Forget Email and Go Mobile! New to this site? Fill in your name and email to your right (where it says "Free Marketing Newsletter") and you will get my personal advice email newsletter to boost your online marketing profits. You'll also get FREE copies of several must-have eBooks and software -- to take your online business to the next level. You need to be actively acquiring your customers’ mobile numbers. Don’t just sit on those numbers either, you need to be marketing to them right now. Why? Well, because email is dying. Albeit slowly. Email is, of course, a worthwhile marketing tactic, but the fact is that young people (18-24) just don’t use email. They perceive email as ‘too slow’ and they aren’t used to the non-instant format of the internal email system. A report on the BBC shows just how profound this change in behaviour is. The CEO of Atos is actively working on banning internal company email. Mobile numbers are highly coveted by businesses precisely because they are so protected by customers. We treat our mobiles better than most pets. We sleep next to them and we carry them everywhere. And that is exactly why we are protective of our numbers. They are precious to us; enshrined in law that mobile operators must allow us to take our numbers with us if we change network. According to the Guardian, smartphones now account for more than 50% of phone sales in Europe. Yet, even though smartphone web browsers show your existing landing pages, there’s still reason to have a direct relationship with your customer’s phone via SMS. It’s the only ‘app’ that is accessible to virtually all mobile handsets in the world. Gathering mobile information on the back of an active email list is a great way to begin adding numbers to your database. Send out a mobile opt-in message to your email asking your customers to add their mobile number to their profiles to receive updates, discounts or news via SMS. Add a mobile number to your sign up form to get new prospects sharing their mobile information with you. Hotels are already doing this by sending confirmation messages via opted-in SMS messages. They even include sat nav coordinates to plug right into a smartphone. Remember, once you have permission to send offers or information to a mobile, you have a deeper relationship with your customer. So do as the hotels are doing, and don’t over-send these messages. Keep it at the transaction or reminder level, then only send offers occasionally. This should really only be considered by experienced mobile marketers, but it is possible to buy batches of numbers from others who run co-registration via CPA offers and segment the list by interest. Be careful who you deal with however, or you can get stung by the anti-spam laws. Mobile is very very personal, so getting a mobile number is definitely harder than getting an email address. But it’s worth it and as people become more comfortable with SMS messages from businesses – relevant messages – they will be more willing to share their personal information. SMS marketing offers an easy way to share a brief message to pique interest and then drive mobile users to a mobile-optimised web page. Even if you are specifically targeting smartphones, optimisation is still a concern. Smartphone web browsers are capable of displaying webpages, but the experience is broken and the user will need to zoom and pinch their way around your site. Which is annoying more than difficult. Optimising the site design ensures the most appropriate messages are presented to the mobile user first. Alternatively, providing a phone number in your SMS text messages is an easy way to get a response. All most users have to do is press the ‘dial’ button from the SMS to get access to the response number you send. Mobile marketing has taken a note from the email marketing providers and offer many desktop tools to compose, send, respond to and analyse mobile campaigns. You’re not going to have to tap little phone keypads. These tools help you to manage thousands of SMS messages, build and segment your lists, create auto-responses, interpret reply message like YES confirmations and STOP messages for unsubscribes. The best providers in the market integrate your mobile number database right into your web sign up forms through an SMS API. They will also ensure directly connection to any of the global mobile networks, often at the same competitive rates. Subscribe Henry's No-Hype, No-Scam Marketing Newsletter to Boost Your Online Profits for Free! Please ensure you provide a valid email address, other than Yahoo, Hotmail or MSN because we're currently having problems sending emails to them. Thank you. Your information will never be sold our shared with anyone ... NEVER! I respect your privacy and hate SPAM too! SMS marketing finally looks like it is set to be the marketing tool it has always threatened to be. With the increased use in smart phones and mobile internet usage, using SMS messages with links to your online presence to bring foot traffic to your business is becoming more important. Every business should use this method to improve their promotion, especially small, local businesses. Your post is a timely one – with the advent of smartphones, the mobile market will only grow bigger & bigger. It already outdoes computer 5 to 1, so it makes no sense not to look into this market. I can definitely see an upcoming trend in mobile marketing as smartphones is gaining more and more market share. But I’m still new to internet marketing. In this strategy applicable to new guys like me? I have never even considered using mobile marketing. Personally, I don’t really like when I get business texts (especially when I choose to unsubscribe and I still get the texts), but this post might have changed my mind. I will definitely consider doing this in the future. Great post! It is true that mobile communication is on the rise but I disagree with your point that email is dying out. For me personally, I feel that as long people are around using the internet, people will still be using email as a main way to communicate with each other. 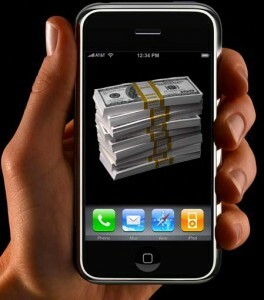 But I do agree that it will be worth the investment of time and money into getting a mobile presence for the business. My personal opinion is that bulk SMS messages are invasive and interrupt people. I dont like to interrupt people. Even id they opt in, you’re still limited to 16o characters. I like email, and I dont think email is dying, I think its evolving. Were coming out of the spam era and into the social web…I think we’ll see some social media-email hybrid soon, but it’s not going anywhere. Now this is an interesting post! I’ve never though of txt messaging marketing over email marketing but I definitely see what you mean. It must appeal to those 18-24 year old so much more than emails. I’m definitely going to look into this more, thanks. I thank you for your article I am always looking for new ideas in network marketing. From reading your post you have given me some good ideas on improving my network…. you obviously know what you are talking about. Using SMS has several advantages over e-mail marketing. It is almost certain that the person that receives it will read it, whereas e-mail opening rates are much lower. It also offers a wider range of options for replying. SMS marketing is the best way to take advantage of the evolution of web accessible phones. 18-24 year olds consider email to be too slow? Wow, my mails are pushed through to my phone and that suits me fine. Kids are so impatient! Build my mobile list? Interesting. I might just start doing that. There is also if you build an app push notifications which send a notification to the “messages” portion of the phone not the text portion and you can sell them stuff there too like mobile CPA offers work really well. Enter Your Name and Email Address Below to Receive Henry's Personal Advice Marketing Newsletter! We hate spam as much as you do. Your details will not be sold or rented to anyone. Recycle Your Exit Traffic for Profits! 10 Biggest SEO Myths Exposed with this FREE Report! 3 Mysteries of Email Open Rates – EXPOSED!